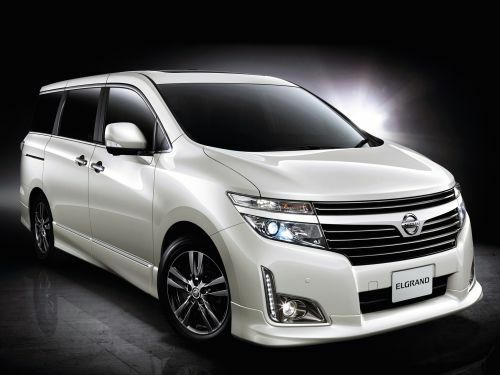 The Nissan Elgrand is a full-size luxury MPV that started production in 1997. 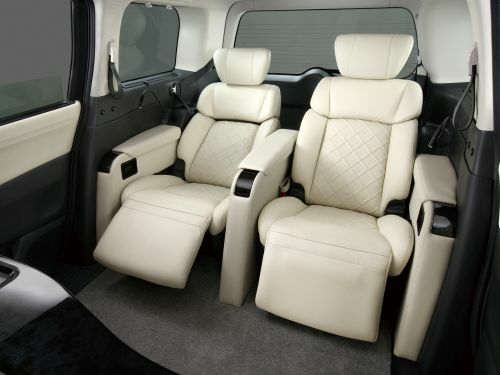 The Elgrand has been available in three model developments so far — the E50, the E51 and the latest Nissan Elgrand E52 (from 2010). 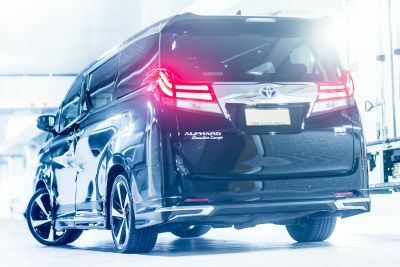 The main competitors to the Nissan Elgrand E52 are the Toyota Alphard, Toyota Vellfire, and the Honda Odyssey. All Elgrand E52 variants were available in 2WD or AWD, and most with 2.5L or 3.5L engines and 7 or 8 seats. The 2.5L engine outputs 127kW (170hp) while the 3.5L engine outputs 208kW (280hp), or 225kW (300hp) for the High Performance Spec model. The 6 speed Xtronic CVT (continuously variable transmission) optimises fuel efficiency. 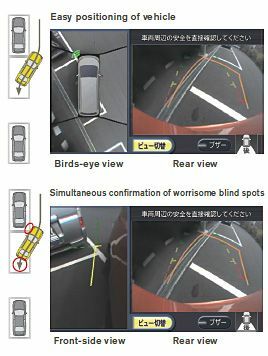 Important — Only Nissan Elgrand E52’s manufactured from June 2010 to May 2012 and fitted with the ‘Around View Monitor’ camera system are eligible for import to Australia under SEVS. View Nissan Elgrand E52 examples inspected at auction for clients. The Elgrand Around View Monitor assists drivers to park more easily by better understanding the vehicle’s surroundings through a virtual 360-degree scene of the car in bird’s-eye view from above the vehicle. The system helps to visually confirm the vehicle’s position relative to the lines around parking spaces and adjacent objects, allowing the driver to manoeuvre into parking spaces with more ease. The Around View Monitor processes video from four cameras mounted to the front, rear and sides of the vehicle which take video diagonally above each of their positions. The perspective of the video is then changed into video imagery looking down on the car from above and the composite footage is displayed on the TV screen inside the vehicle. Using the Around View system, the car will automatically detect an empty car park space (either for parallel parking or reverse parking) and will highlight the position on the Around View layout which the driver should aim for. When moving into the parking space a box will be formed showing the position the car will eventually end up in should the driver maintain their current steering angle, and so turning the steering wheel until the predicted position matches the parking space makes parking simple and predictable. Being able to see the condition of the vehicle’s surroundings from above makes it much easier to understand where the lines of a parking space are or the position of certain detectable obstructions around the car. 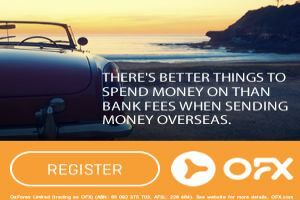 This greatly helps less confident drivers as well as those with many years of driving experience. 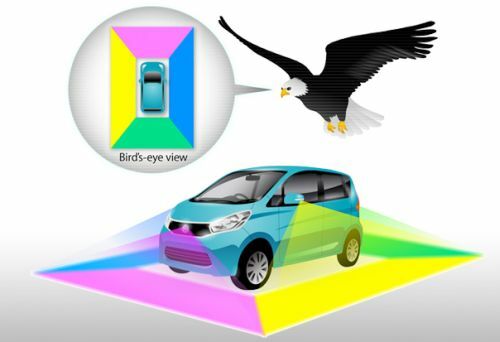 The system can display the bird’s-eye and front / rear views, making it possible to check the vehicle’s 360-degree surroundings simultaneously with either the front and rear views. It is also possible to display just the rear view and front-side view together so the driver can simultaneously check the rear and front-side views of the vehicle which are the points of most concern when parallel parking. This enhanced system features motion detection functionality which can sense moving objects and then warn the driver on the display. 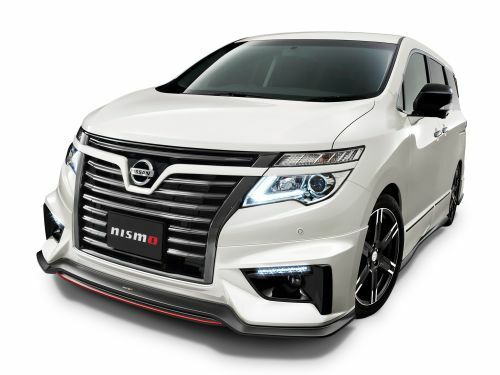 Nissan’s Around View Monitor and Around View Monitor with Moving Object Detection continue to improve and evolve as two of the technologies for next-generation mobility. The vehicle monitors the area ahead and behind, and at low speeds will automatically apply the brakes if the driver fails to do so, avoiding an accident. This works both while travelling forwards and backwards. This system improves fuel efficiently by 5% to 10% by offering feedback to the accelerator pedal and smoothing out a driver’s responses. This feature can be turned off. E52 Elgrands can feature an optional BOSE sound system with 5.1 channel surround sound (with subwoofer) and a total of 13 speakers throughout the car. Also optional on the Nissan Elgrand E52 was an 11 inch flip-down monitor in the roof for rear passengers, at the time of release this was the largest factory monitor available worldwide. Should a tyre develop a leak or slowly go flat the driver can be alerted, preventing possible damage, accident, or poor fuel economy. Nissan’s radar cruise control system fitted to the Elgrand operates like normal cruise control and is also able to monitor the car ahead and maintain a steady distance, so the driver does not have to constantly adjust the speed to maintain distance with the car in front. Several following distance options can be selected. When minimum safe distance is reached the cruise control will automatically turn itself off and the brakes will be applied to slow the vehicle. 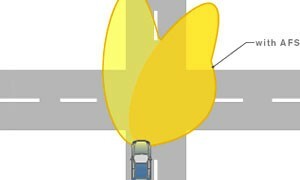 If traffic increases speed, the cruise control will resume and accelerate the vehicle back to the preset cruise speed. 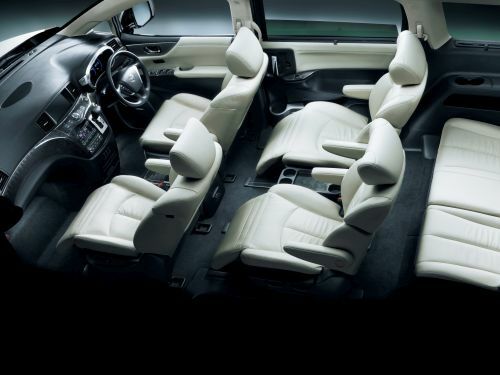 The rear power seats fold forwards into the floor and can fold back up again at the push of a button, with the ability to move the split folding seats independently from one another. 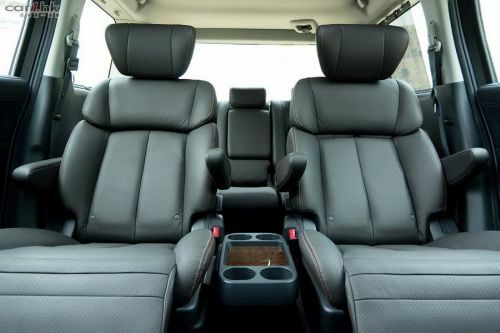 7 seat versions for the second row of seats also feature luxurious foot rests, arm rests, and several levels of adjustability including a two pivot point seat back. The smart key means that you do not have to insert a key into the ignition to start the car, it needs only be within vicinity of the car (ie. in your pocket). Likewise the front doors, rear power sliding doors and tailgate do not have to be physically unlocked by inserting the key or unlocked by pressing a button on the key. Instead you simply walk up to the car and it will detect you have the key on you, authorising access. When driving at night, AFS uses driving speed and steering wheel direction to adjust the headlights left or right in the direction of travel to provide better illumination of the road ahead and highlight pedestrians and objects on the side of the road. The scratch shield paint heals minor scratches to the body of the car over time, nominally 7 days depending on environmental factors. This uses a heat-activated elastic polymer resin in the paint. 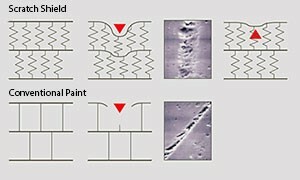 Note that the service life of the scratch shield paint is considered to be 3 – 5 years. The first revision of the Elgrand E52 was released in Japan from August 2010 to January 2014. During this time there were 6 trim levels available. All models were available in front-wheel or all-wheel drive with a continuously variable transmission (CVT) being the only transmission option. A 250 prefix to the trim level represented a 2.5 litre inline-4 engine (QR25DE) while a 350 prefix to the trim level represented a 3.5 litre V6 engine (VQ35DE). Some models were available with both engine options while others were only available with one. The Elgrand E52 Enchant (a version of the Elgrand E52 with a mobility access seat in the second row) was available in the 250 / 350 Highway Star and the 250 XG. The Elgrand S-tune was a performance version equipped with the NISMO S-tune kit. The Black Line was a variant of the Elgrand E52 Rider 250 XG (FWD/AWD) and 350 Highway Star (FWD/AWD) with exclusive dark chrome grille, bumper grille, and headlamp finisher, an exclusive emblem (Rider/AUTECH), Carwings navigation system with exclusive around view monitor and ETC unit, dual power sliding doors (standard on base 350Highway STAR), and a choice of 2 body colors (brilliant white pearl (3 coat pearl), phantom black (pearl). The High Performance Spec was a version of the Rider 350 Highway Star (FWD) with increased engine power by 20 PS (15 kW; 20 hp) and 1.7 kg·m (17 N·m; 12 lbf·ft) torque, handling improvements (exclusive front cross stay, exclusive centre crossbar, exclusive rear crossbar, YAMAHA performance damper (rear), exclusive tuned suspension, exclusive 19-inch shiny aluminium wheels (dark tone), Michelin Primacy LC 245/45R19 98Y tyres), and an exclusive ‘HIGH PERFORMANCE SPEC’ emblem. Urban Chrome is a version of the Elgrand E52 250 Highway Star and 350 Highway Star with dark chrome grille, exclusive dark chrome fog lamp finisher, front protector, exclusive graphite-finish 18-inch aluminium wheels, clear rear combination lamp, LED high-mount strap lamp (clear type), and power sliding doors on the 250 Highway Star (standard on regular 350 Highway Star versions). This was a combination of the High Performance Spec and Black Line models. Changes to the Elgrand E52 for 2012 included and option for collision avoidance assist with brake override and 4 ultrasound sonar sensors. 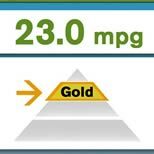 All 3.5-litre engine models also featured fuel efficiency improvements, making them eligible for eco car tax reductions. New metal grey colour (with multi-flex colour) for a total of 5 body colour choices. The Elgrand E52 Highway Star Urban Chrome Black Leather and Highway Star Black Leather are versions of Nissan Elgrand 250 Highway Star Urban Chrome, 250 Highway Star, 350 Highway Star Urban Chrome, and 350 Highway Star with exclusive black leather seats featuring silver stitching, memory seats, steering wheel, and pedals, driver and front passenger power seats, steering wheel with exclusive leather wrapping and wood trim, reverse down-view liftgate mirror, and heated seats. The Autech Elgrand E52 Rider is a version of the 350 Highway Star (FWD/AWD) and 250 XG (FWD/AWD) with exclusive front bumper, front grille, headlight finisher, rear bumper, emblem (Rider/AUTECH), 18-inch glossy aluminum wheels, lowered suspension, sport exhaust, seat upholstery (black leather; black cloth for 2.5-litre engine model), door trim at front and rear doors, finisher in mokume-gane pattern, and a choice of 3 body colours (brilliant white pearl 3-coat pearl (#QAB), phantom black pearl (#GAE), brilliant silver metallic (#K23)). Autech options include exclusive large roof spoiler and exclusive seat upholstery in premium white leather (3.5-litre engine model only). Autech dealer options include an exclusive Elgrand E52 front protector and front protector decal. JDM models of the facelifted Elgrand E52 went on sale in 2014-01-15. 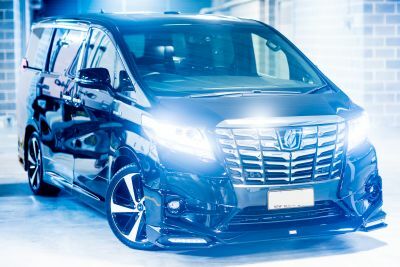 Early Nissan Elgrand E52 models include 250 XG (8 passenger), 250 Highway Star (7/8 passenger), 250 Highway Star Premium (8 passenger), 350 Highway Star (7/8 passenger), and 350 Highway Star Premium (7 passenger). High Performance Spec (Black Line) models include 350 Highway Star (FWD). Early facelifted Autech Enchant models include 250 XG (FWD/AWD), 250 Highway Star (FWD/AWD), 350 Highway Star (FWD/AWD). Early facelifted Autech VIP 2 and VIP 3 models include 350 Highway Star (FWD/AWD). 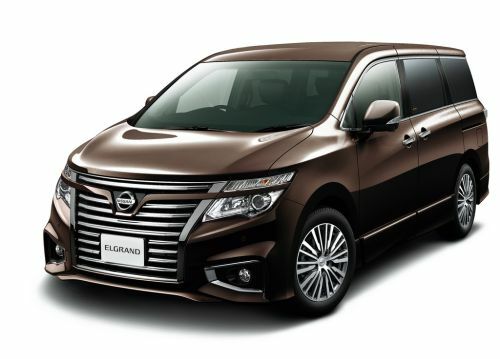 View Nissan Elgrand E52 Wiki for more model information.